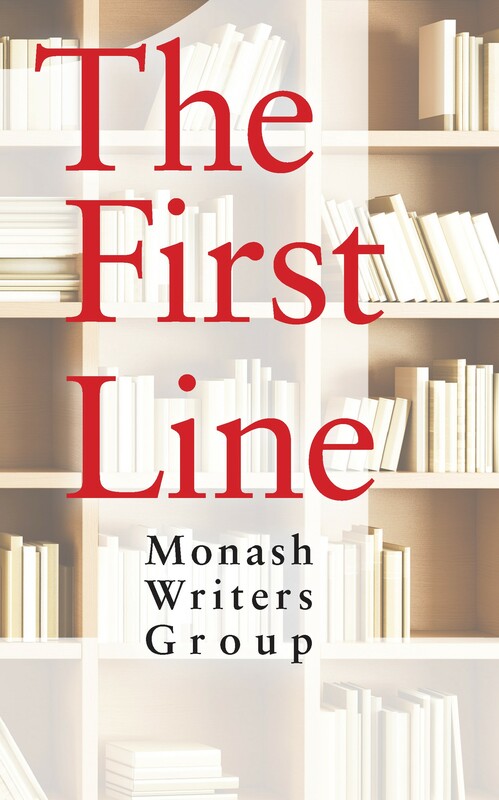 Last week it was Tale Publishing’s privilege to launch the Monash Writers Group Anthology, The First line. This was their second anthology after last year’s View from the Hill. This time, fifteen authors contributed to the anthology and, for about a third of them, it was their first time having something published. Giving new authors the chance to be heard is something we love doing, and the enthusiasm for the publication was infectious on the night. Helping launch the event was Monash Councillor Lynnette Saloumi. 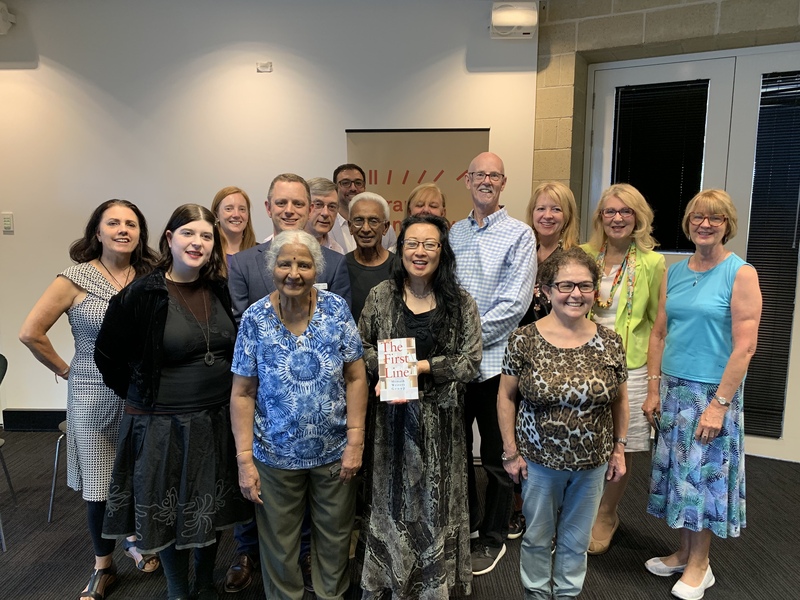 Pictured here with the Chair of the Monash Writers Group, Robert New and again with the contributors to the anthology. This anthology involved each writer taking the first line of a story they like and using it as the starting point for a new tale. Some lines are famous, others obscure, but the works they have inspired are original and entertaining. From historical fiction, drama, science fiction, mystery, adventure and literary there is a story in this collection for every reader. For stockist inquiries please contact Tale Publishing’s distributor, Woodslane, on +61 2 8445 2300 or email info@woodslane.com.au. Recently Tale Publishing was invited to meet with a local community writing group about a potential partnership. 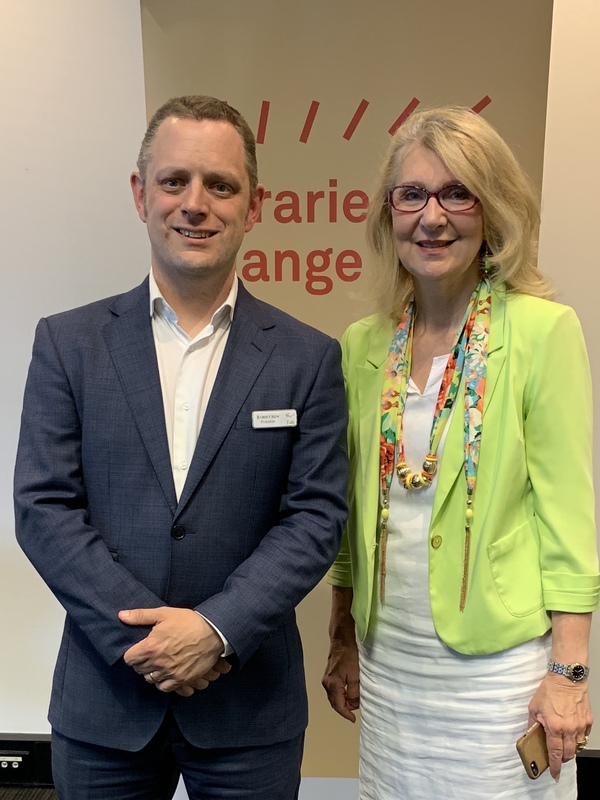 They’d heard about our work with the Monash Writers Group* (who have a new anthology being launched in February) and wondered if we could work together on a new project. The project is subject to a grant application so while we’d all like it to come to fruition, it’s not a certainty. Similarly, at the book launch for Colours of Hope and Despair by Bala Mudaly, we were approached by an author who’d written over three hundred short stories and a novel. He had a new manuscript he thought we might be interested in. We exchanged details and have since received a manuscript which does indeed interest us. Again, it’s not locked in yet but we’re hopeful. So why are we writing about uncertainties? To answer that we need to go back to Tale Publishing’s beginning. Publish 2 or 3 books per year. Publish stories that have something interesting about them regardless of genre or author experience. Form partnerships that enable our publications to reach the widest possible audience. Be a publisher of choice for authors, retailers and readers. These anecdotes illustrate how we are meeting the latter two goals which is why we’re mentioning them. We’ve also formed the basic necessity partnerships too: Woodslane (Australia) & Gazelle (Europe and Asia) for distribution, the Small Press Network and Australian Publishers Association as industry groups and Ingram Spark for printing. Additionally, we’ve previously worked with the Krishnamurti Foundation to publish a translation of Beyond Violence, but things like potential community partnerships signify a degree of growth and recognition which is encouraging. As for the former two goals, they’re being met too. We’ve published four books a year, from a mix of previously published authors and first timers, who’ve written in genres including memoir, urban fantasy, satire, speculative fiction, literary and non-fiction. We’re still young and still finding our place in the publishing world, but it’s nice to think we’re building some momentum and meeting the targets we set ourselves when we were founded. Here’s to the next three years! * Tale Publishing was founded by members of this group and also published their previous anthology, The View from the Hill.